The Earth Hour Blog reports that Girl Scouts across the United States of America - from Louisiana to Missouri to Utah and Indiana - led the action for Earth Hour. In Los Angeles, local troops gathered for a candlelit vigil while 500 Colorado Girl Scouts created a giant glowing ‘GS” on the steps of the State Capital Building in Denver. All 96 UN buildings in New York including its main headquarters flicked off for the occasion. Simultaneously, the lights of Broadway theatres dimmed their marquees and roof signs in honor of Earth Hour. Iconic sites including the Empire State Building and numerous buildings in Times Square also rose to the occasion by switching off. This year, Girl Scouts of the USA has partnered with Earth Hour, which meshes well with the ongoing Girl Scouts Forever Green project. Girl Scouts Forever Green, the Girl Scouts’ 100th Anniversary Take Action Project, is a national effort of girls leading their families, schools, and communities in improving the environment and protecting natural resources. Girl Scouts Forever Green invites girls to Take Action on three major projects. Participants are also encouraged to take an Online Pledge stating their yearlong commitment to Girl Scouts Forever Green efforts. “Our organizations have a common purpose — to create a better environment for future generations,” Andy Ridley, Earth Hour co-founder and executive director told the Colorado Springs Gazette. More than 350 Girl Scouts and their families gathered at the Capitol in Colorado Springs, hosting an evening of environmental learning for the community. California’s Camarillo Acorn reports that Camarillo Girl Scouts have a bright future when it comes to turning off lights and turning on candles in the name of energy conservation. The troops and their communities across the country replaced incandescent bulbs with energy efficient light bulbs, and turned off non-emergency lights during Earth Hour 2011. The Scouts in Camarillo installed 40 energy- efficient light bulbs in member’s homes and saved 15,538 kilowatts of energy and 23,929 pounds of CO2 to raise awareness for the environment. To date, Girl Scouts have installed 7,419 energy-efficient light bulbs and 8,868 Scouts participated in Earth Hour. The Girl Scout organization estimates these two events have saved 2.8 million kilowatts of energy and 4.4 pounds of CO2. That is equivalent to planting 431 acres of trees per year or the CO2 emissions from about 387 cars per year. 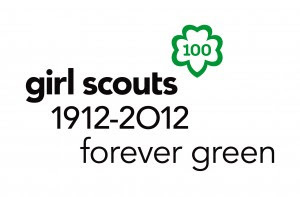 These numbers are expected to expand greatly as Girl Scouts Forever Green gains even more traction nationwide in 2012.